The one primary link connecting the Delhi Daredevils to Kolkata Knight Riders this season is Gautam Gambhir. An Indian Premier League (IPL)-winning skipper, it is understood that Gambhir requested Kolkata not to bid or use the Right To Match (RTM) card on him. "He was very much in our plans for the auctions via RTM, but he had a conversation with us well before. He felt that there might be a different challenge before (him), we don't know what it was. And (he) requested if we would refrain from bidding for him or using Right To Match. And we said we will never come in the way of anyone's progress or anyone's aspirations. 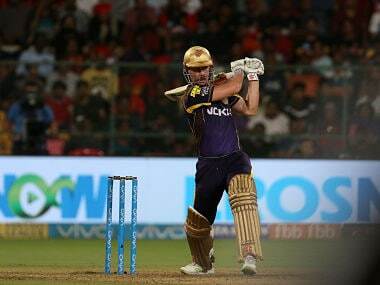 We're sorry to see him go... seven great years," KKR managing director Venky Mysore said. The biggest beneficiaries were the Delhi Daredevils, who brought Gambhir back to his home, and that at a bargain price of Rs 2.8 crore. They would now bestow upon him the honour of captaining the side. 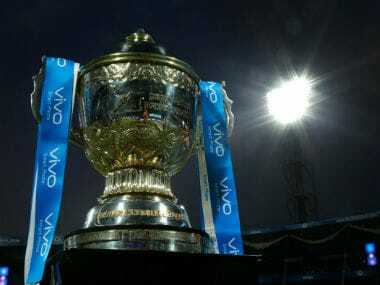 It is ironical that while the Delhi Daredevils, a team which has almost always performed below par at the IPL, have a rather settled-looking team after the reshuffle at the auctions, Kolkata Knight Riders, who boast of a stupendous IPL record, are undecided on their captain and have a slew of problematic areas in their final squad. There is no doubting that Delhi had come better prepared for this auction. They have a good all-round squad built on some explosive firepower with the bat. The likes of Munro, Maxwell, Roy, Iyer, Pant and Morris add the kind of oomph that previous Delhi line-ups missed. Their strength with the bat is reminiscent of the modern day England limited-overs side which has fearless batsmen till way down the order. With a good mix of all-rounders and foreign pace bowlers, Delhi have virtually aced the auctions without really going over the top for any one player. There is a good mix of youth and experience as well with Shaw and Kalra being good value-for-money buys. In Lamichhane, a 17 year old Nepalese leg-spinner, they have an X-factor youngster who could be the next Rashid Khan. Gambhir's towering presence ensures that they have a reliable, experienced hand capable of guiding a young outfit and he will have enough inputs from the newly-appointed head coach, Ricky Ponting, whose tactical nous is well appreciated. Strong area: Without a shadow of a doubt, Delhi's strength lies in their power-hitters. If they can stick to their guns and ensure there are no tight overs when they bat, their bowlers would have the cushion that they require. Area of concern: One area which Delhi possibly haven't really covered is that of Indian fast bowlers. With Mohammad Shami not having a good T20 record and most of their pace bowlers being foreigners, Delhi might just be a touch short on firepower with the new ball and at the death, where their sole options are Morris and Rabada. The Knight Riders had a bizarre auction strategy. They entered the auction with a decent budget, having retained just two players. But after their first four buys on Saturday, Kolkata had not only exhausted half of their purse but also hadn't zeroed in on a skipper. While them going after Starc and Lynn was understandable, there could be strong repercussions if they get injured which is a realistic possibility considering the frequency at which these two break down. They are also short of firepower in the middle-order having given up on Manish Pandey and Shakib-al-Hasan. Kolkata would hope that the likes of Karthik, Uthappa and Rana step up with the bat. The lack of strong foreign batsmen or batting all-rounders could also affect them quite a bit. Strong area: Kolkata's spin contingent comprising Narine, Kuldeep and Chawla are settled and have an understanding amongst each other. 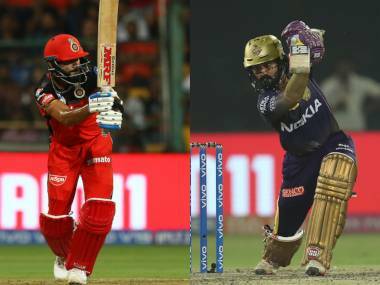 If the young trio of under-19 players – Gill, Mavi and Nagarkoti – can find their feet quickly at this level, several of KKR's flaws could be ironed out. Areas of concern: With few all-rounders and Lynn as the only foreign batsmen with a realistic chance of making the XI consistently, Kolkata have messed up their auctions. They are a bit light in terms of their batting unless Lynn and Russell manage to click nine out of ten times. Captaincy is another area of concern with Karthik and Uthappa being the frontrunners to grab the honour.